Pitt has gone eight months without state funding. Now state lawmaker’s latest proposal, and a bill that would fund Pitt, are in jeopardy. Pennsylvania legislators have passed a budget and four bills that would restore funding to Pennsylvania’s state-related schools, but it’s unlikely Pitt will see dollar signs any time soon. On Wednesday, state lawmakers passed a state budget worth $32 billion and four non-preferred appropriation bills worth more than half of a billion dollars in total that would restore state funding to Pitt, Penn State and Pennsylvania’s other state-related universities. Though he neither signed nor vetoed the bills Thursday, Gov. Tom Wolf said in a Wednesday release that the budget bill “would force Pennsylvania off of the fiscal cliff,” indicating he will veto the measure, meaning Pitt will continue to operate without state funding for the current fiscal year. 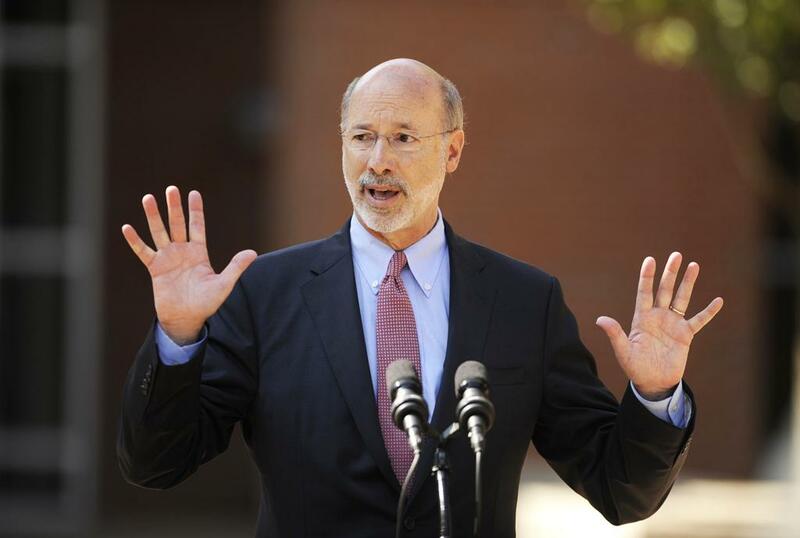 Wolf’s indication now leaves the fate of the four additional appropriation bills uncertain. Pitt’s bill would give it more than $143 million after eight months of financial limbo. The state is supposed to allocate around $147 million to Pitt according to Chancellor Patrick Gallagher, who said the money represents about 15 percent of Pitt’s annual budget. The legislature passed the bills for the four schools as amendments to older state laws that established the universities as state-related. Pitt’s bill, for example, was an amendment to its 1966 charter that shifted the University from its private status to its partially public status. The legislature has passed four bills, one each to give money to Pitt, Penn State, Lincoln and Temple Universities, but the larger budget impasse remains unresolved. In past years, Pitt received its funding from the state through appropriation bills passed alongside the larger state budget. But since the state legislature has failed to pass a budget for the 2015-2016 fiscal year since July, legislators have starved Pitt and the other three state-related schools — Penn State, Temple and Lincoln Universities — of money they normally receive each summer. “This budget is out-of-balance by at least $290 million, would create a year end deficit of more than $1.6 billion in 2016-17, and would force Pennsylvania off a fiscal cliff,” Wolf’s press secretary Jeff Sheridan said in a release Wednesday. In a cautiously hopeful email he sent to students, faculty and staff late Wednesday evening, Gallagher said Gov. Wolf had voiced support for increasing state funding to Pitt, but added that “revenue questions” still exist. Wednesday’s bill would have restored 97 percent of the $147 million Gallagher said Pitt was expecting, which includes a 5 percent increase in funding from last year. Wolf has supported increasing state funding for Pitt but has continuously rejected Republican-passed budgets that don’t balance the state budget. Gallagher also urged members of the University to call or write a letter to Gov. Wolf in his email Wednesday, as part of his WithPitt campaign to advocate for state funding. In a release Thursday, Pitt’s Student Government Board also asked students to contact the governor. Now, as Pitt’s annual “Day in Harrisburg” approaches next Tuesday, state-related universities are facing the realities of their appropriation bills not passing the Governor’s desk and possibly facing a year without state funding. The schools have begun to ask if they’ll have to cut programs, limit opportunities like traveling to conferences and possibly lay off faculty and staff. Pitt has already frozen Gallagher’s and other senior administrators’ salaries until the state passes a budget, the University Times reported on March 3. Eight months in, administrators at Pitt and other state-related universities are starting to doubt whether the schools will get allocations at all this fiscal year. Temple University, too, is now echoing Supowitz’s fear and is considering cutting department budgets and, in extreme cases, laying off staff and faculty, Temple spokesperson Raymond Betzner said. If the impasse continues into the next fiscal year, Betzner said the school would have to “very seriously consider” raising student tuition. In late December, Wolf approved funding for school districts, social services agencies and county governments. But he didn’t release money for the state’s universities or grants to students eligible for financial aid, which changed how Pitt provided financial assistance to some students this year. For eligible state residents, Pitt has made up the money for the Pennsylvania Higher Education Assistance Agency grant program, which awards grants to students who demonstrate financial need. Pitt students get $10 million per semester, in financial aid from the PHEAA, and Pitt has covered its loss because the legislature hasn’t funded this year’s grants, according to Supowitz. Supowitz said the University has been covering costs, such as the PHEAA program and the in-state tuition discount, in hopes that the funds will eventually come in from the state. Temple has covered its expenses for the school year so far with reserve funds, like Pitt has, Betzner said, but said restrictions on faculty spending money to travel or attend off-campus conferences could come soon. In his annual Governor’s budget address in February, Wolf held his ground on his current plans for this year’s and next year’s budget, including increases in the personal income tax, as well as increases in funding for state-related universities like Pitt. Wolf expressed frustration and anger that the two parties hadn’t come to an agreement, then seven months into the impasse. Wolf said he had reached a bipartisan agreement last year and was ready to sign the budget when Republican house leaders simply walked away. Supowitz said the original proposed budget would have been the first increase in funding to state related universities in decades. He said Wolf had proposed a 10 percent increase, which had been pushed down to 5 percent, which would be the first increase in more than 20 years. Beyond the loss of the PHEAA grants this year, lower-than-expected state funding in past years has caused Pitt to have to snip extra expenses from its annual budget. Over the past seven years, these cuts have totaled $53 million. The University also increased the eligibility requirements for post-retirement medical benefits, which cut another $32 million. Energy conservation efforts have saved Pitt $3.4 million. Electronic reporting of bills, paychecks and budgets has saved $1.6 million. Service said in February that the University needs the funding for this year. Pitt’s Student Government Board, too, in conjunction with the student governments at the other three state-related schools, passed a resolution in February calling on state legislators to restore Pitt’s funding. Jack Heidecker, a Board member of SGB, proposed the idea because of the insecurity Pitt is facing without the funding from the state government. “It is a call to put partisan differences aside and move forward on passing fair education funding,” Heidecker said of the resolution. The resolution specifically addresses how the lack of a budget will impact students, most notably by a possible tuition increase. Pitt has not announced any plans for tuition increases as a result of the impasse. SGB will send the letter to the governor’s office and the chairs of the Assembly’s appropriations and education committees on Thursday. Student Government Board encouraged students to send their own letters to the governor, while Supowitz said the University plans to bring students to advocate for the passing of the budget at the annual Pitt Day at Harrisburg, which is on March 22.